Alora Home Care Software supports heath care agencies and practitioners with a comprehensive cloud-based administration solution. 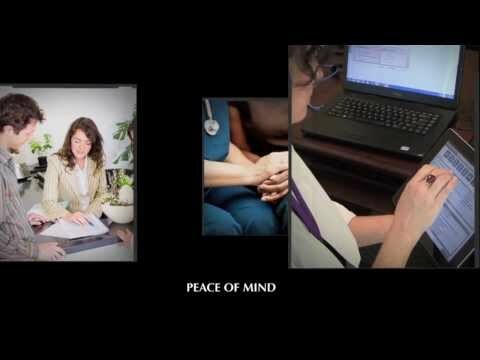 With features catering to both managers handling back office functionality and caregivers operating within the field, Alora boasts online and offline capabilities to remain operational at point of care. A centralized admin dashboard promises intuitive access and a wholly paperless workflow, integrating functionality spanning visit scheduling, care planning, physician order tracking and medication profiling. Alora’s additional care features include offline charting and nursing notation across multiple devices, including support from a companion iOS app. Process patient admissions and add unlimited insurance records, track referrals, carry out OASIS assessments and generate claim forms. Office features extend to billing, payroll, employee HR processing, accounts receivable and reporting, while using the secured, HIPAA-compliant dashboard to track nurses with GPS as they undertake home visits. Encouraging paperless deployment with multi-office capabilities, Alora grants unlimited user licenses based on agency requirements uses electronic signature technology to capture employee or patient authorizations. Thus far, my experience with Alora has been overall very good. I am a fairly new user with lots of learning ahead of me. At this point of use with our new company, the software has been user-friendly and seems to be very comprehensive in the home care field. The best thing thus far has been the help/support I have received. They have been extremely helpful with resolving some issues and training, as well as with answering questions in a friendly and prompt manner. They have not only helped resolved what I felt like were some big issues but have also taken the time on several occasions to teach me. Our rep is very patient and personable. When it comes down to it, in my opinion, all the home care software out there is similar, for the most part, with varying degrees of bells and whistles, as well as price. Besides price, the thing that sets software vendors apart is the support staff who work with the agencies using the software. Alora has a really good team, and I think that will build on their reputation in a very positive way. I also like how Alora will listen to users that have suggestions to make something easier or better with the software and then sometimes make changes/updates to accommodate. It gives the users a sense of teamwork - that Alora is always trying to make the software better for its users, not just customers with no voice. I like how Alora is constantly updating and sending the updates to the users. I also like the ability to open so many windows from a single window that I'm in to check information, etc. This is very helpful and useful. I really like the scrubbing tool! I think the price is reasonable. I am hoping it stays that way. The more I use the software and learn its capabilities, the more I like it. The biggest issue up to this point is that the system seems to crash a lot when I have entered and completed a 485 then go to print. I have lost all data more than once when this happened which was frustrating. I have now learned to hit the save button before I try to print. It still crashes at times, but when I reopen the software, the 485 is there. With the screens that I work with daily (not on the clinical side), I like the ease of having almost all the options on the admission screen to where I can go from one screen to the next and still be within the patient's file. I have the ability to write emails within the software and create a separate folder within the mail to store those. I like it when Alora "predicts" or anticipates my date range, etc., does spell ck (wish all screens had that), F5 capability (again wish more screens had that), bringing over data from previous admission on a re-admit (still bug on med profile being addressed/rolled out), and of course....last but not least the customer service is so helpful. The lag time in enhancements, the process of how enhancements & possible bugs are fixed based on how many customers have expressed concern over that same issue, & lack of flexibility within some screens. See some of the items mentioned in the first question. On the Classic Version we do not have a place to put comment when the patient has a change on the profile. For the New Web version on the Oasis there is no name and date the person who made change on the Oasis. Alora is easy software to use, to access and manage with the help of the windows that the programmer created for the client to be able to use. This software gives opportunity to any user whatever the level of computer knowledge to use it without worrying about the improvement of the work; you do not try to think too much to do the work. It is software that does not require much computer knowledge for its use. It is software that accepts the whole level of study to use it. Alora is easy software to use, to access and manage with the help of the windows that the programmer created for the client to be able to use. This software gives opportunity to any user whatever the level of computer knowledge to use it without worrying about the improvement of the work; you do not try to think too much to do the work. It is software that does not require much computer knowledge for its use. It is software that accepts the whole level of study to use it. A Great System Overall - May Lack Specificity for Some Applications. Overall, I think it was a good system. For our particular specialty, it lacked the specificity we needed for many of our forms and the EVV system was better on other platforms. The lack of specificity in the forms meant a lot of extra work on our end, to create many of the documents that we regularly use for Medicaid authorization renewals.My favorite component of the system is one that is often underrated, the dashboard. The dashboard is not only visually appealing, but well organized with lots of helpful information at a glance. The system seemed very flexible in the sense that you can free form a lot of things. If you already have a very specific setup for many of your forms, this can work really well for you as you. My favorite component of the system is one that is often underrated, the dashboard. The dashboard is not only visually appealing, but well organized with lots of helpful information at a glance. The system seemed very flexible in the sense that you can free form a lot of things. If you already have a very specific setup for many of your forms, this can work really well for you as you. The downside to the flexibility of the forms is that it lacks specificity. This means that, out of the box, you will have more work to do in setting up your forms than other EMR systems. It take s a while to customize many of these forms which takes time and effort away from the daily business. Customer service has always been on point and continues the same quality of service no matter how many times you contact them. 9:10 your problem is solved or there is a followup resolution expedited whether quickly. I would also like to see more features with Supervisory visit tracking (QA) and option to run multiple QA document type and status at one time. A request that was already discussed but note officially ticketed as feature upgrade. Also, enable more stricter and user friendly way that prohibits scheduling what is not authorized. Fax ability, electronic nurses assessments. Lots of hard work updating and creating new features for compliance with New CMS CoP's!! Love the new POC Plus. Billing module, schedule module, etc...Perks!! Fax ability, electronic nurses assessments. Lots of hard work updating and creating new features for compliance with New CMS CoP's!! Love the new POC Plus. Billing module, schedule module, etc...Perks!! Carry over feature for skilled nurse visits when there are multiple nurses on the case. Other nurse's systems review boxes are carried over, interventions are carried over, general notes are carried over.... These are from another nurse's assessment and should not be part of the "carry over feature". Should have a choice to only carry over a particular user's last note, not just the last note in the system. So carry over feature should only populate from that specific user ID's last note. Schedule a demo and request full pricing via the Alora website. Alora Home Care Software supports multi-office agency managers and field care givers or nurses, with integrated wholly cloud-based features that can be deployed at the point of service. Reduce waste and save costs by switching to a centralized, paperless workflow boasting electronic signature capture, form processing plus certification & plan of care generation. Managers can access the dashboard-based, HIPAA-compliant system to perform telephony, scheduling, billing, HR and payroll tasks while following nurse visits thanks to GPS tracking. Nurse and care givers, operating in patient homes, can access offline charting and note taking functions, complete assessments, file documents and follow detailed personalized care plans. Alora Plus companion app for iOS offers native access for iPhone and iPad deployment, adding the online/offline 60 Day Episode Calculator for calculating a patient’s episode periods from anywhere without relying on web connectivity. Below are some frequently asked questions for Alora Home Care Software. Q. What type of pricing plans does Alora Home Care Software offer? Q. Who are the typical users of Alora Home Care Software? Q. What languages does Alora Home Care Software support? Q. Does Alora Home Care Software support mobile devices? Q. Does Alora Home Care Software offer an API? No, Alora Home Care Software does not have an API available. Q. What other apps does Alora Home Care Software integrate with? Q. What level of support does Alora Home Care Software offer?